A campaign has been launched in a bid to avert last orders potentially being called at a Hawick pub. Hertfordshire-based chain JD Wetherspoon announced last month that the Bourtree is among 16 of its pubs nationwide being put up for sale, four of them in Scotland. The Cross Keys in Peebles is also being put on the market, along with the Vulcan in Coatbridge in North Lanarkshire and the Alexander Bain in Wick in Caithness. In response to that move, an online petition has been launched in an effort to persuade Wetherspoon chairman Tim Martin to take the Bourtree Place pub off the company’s disposal list. 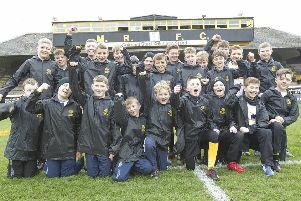 Its organisers’ initial aim was to amass 1,000 signatures, and within 24 hours of its launch last Tuesday it had been backed by 123 signatories, with a further 48 following suit since. The bid is being organised by Hawick IT technician Lee Tottman, a regular at the pub, as he believes townsfolk would lose out if it fails to find a buyer and ends up being closed. Mr Tottman said: “The Bourtree is a well-liked, family-friendly pub where the whole family can go at reasonable prices, and many locals and groups use it to meet and socialise. “If it were to be sold or closed, then a lot of families will lose out on being able to dine out cheaply and the people of Hawick would have lost a community hub. The petition has already garnered messages of support on social media sites. Wetherspoon says it hopes the 31 staff at the Bourtree and a further 31 the Cross Keys, in Northgate, would be kept on by any prospective buyers. However, if no other pub operator wants to move in, regulars fear that they would be offered for redevelopment. 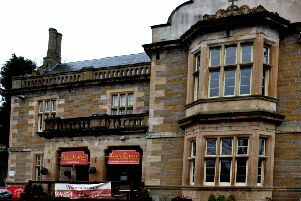 If the Bourtree and Cross Keys are sold off, the Hunters Hall in Galashiels would be the only remaining Wetherspoon pub in the Borders. Opening the Bourtree in April 2011 cost Wetherspoon £1.1m, but its asking price now is only being disclosed on application to London-based estate agent Savills. The building housing it is the old Hawick Conservative Club, opened in 1897. The Cross Keys, the oldest pub in Peebles, was taken over by Wetherspoon in July 2014. The Hunters Hall, now in line for an £812,000 expansion, was opened in October 1999.